Bands are always looking for the best way to promote their music online, either through YouTube, Google Video, MySpace, or a record label’s efforts. Remeber that old 20th Century analog saying: “if you want something done you’ve got to do it yourself.” It certanly applies in the digital media space, where anyone can do anything and lead in trends and ideas. Comes now NiN.com, the official website of Trent Reznor’s industrial band Nine Inch Nails. 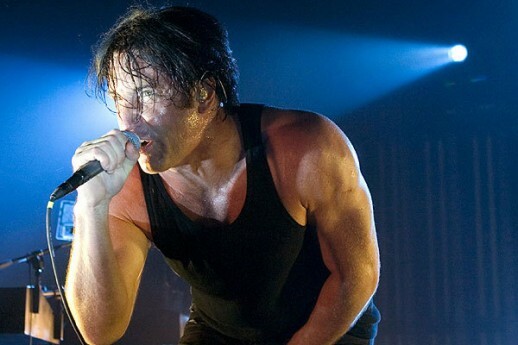 Reznor, who feuded for years with his labels TVT Records and later UMG-owned InterScope, became infamous for urging his fans to “steal” his music online, then offered the 2008 release The Slip as a free download. YouTube provide rich media content served off site. True to the crowdsourcing revolution, the tools allow NIN’s rabid fans to keep the site constantly updated with content. News this week: ol’ Trent and Rob Sheridan’s walkthrough of their latest technical coup – a new upcoming iPhone app designed to be a mobile portal to the NIN online community. The app will offer access to thousands of images, tracks and fan-generated remixes updated in real time.